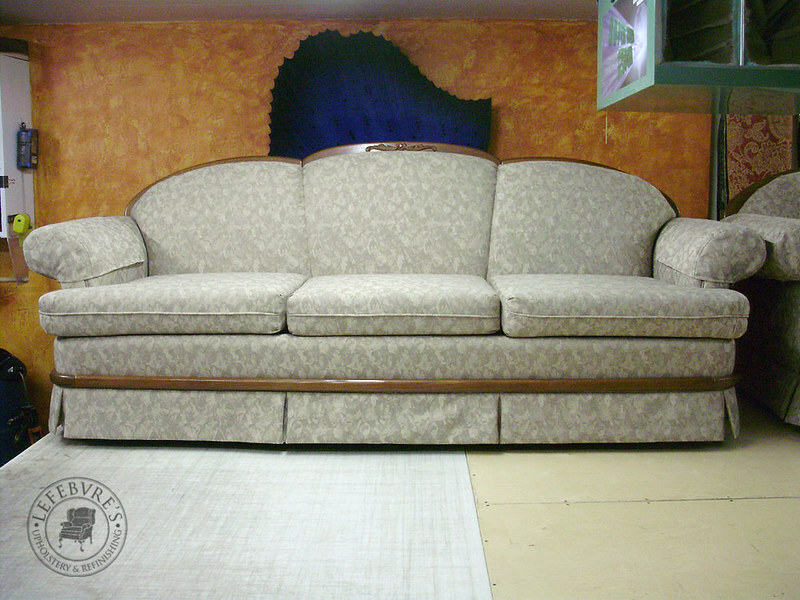 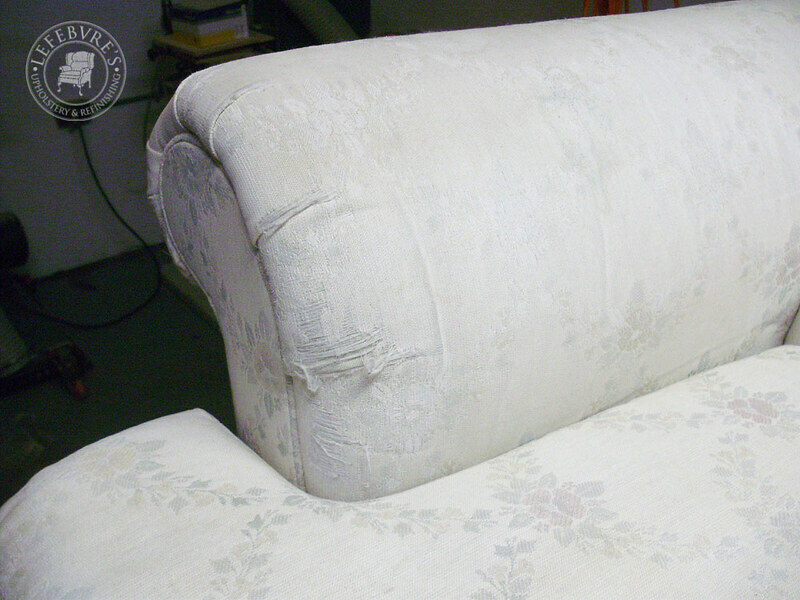 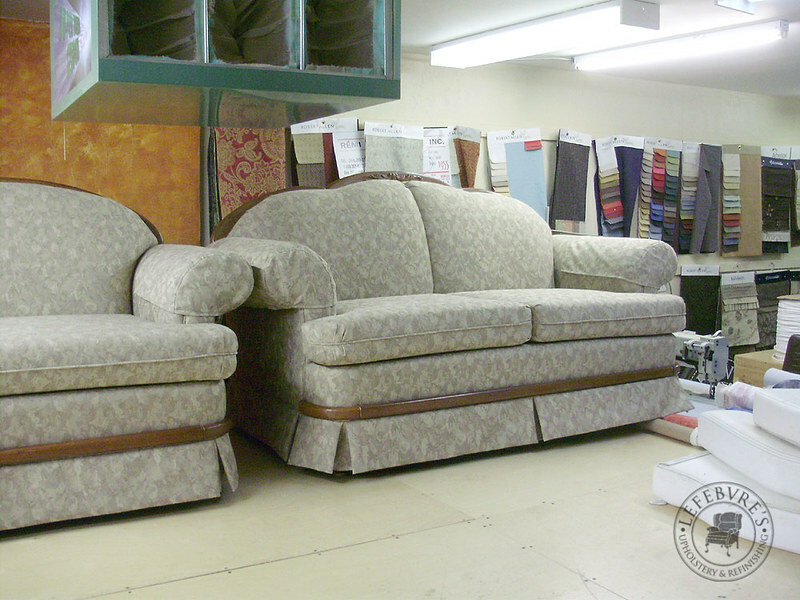 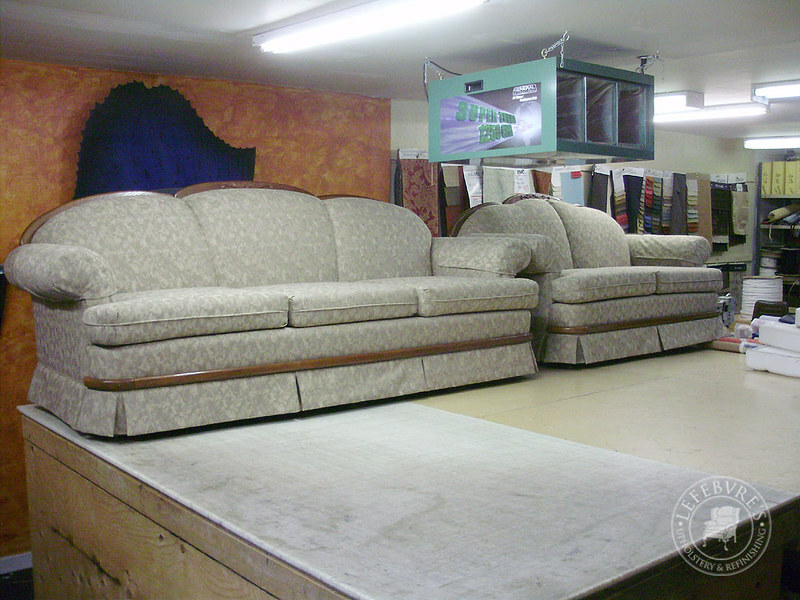 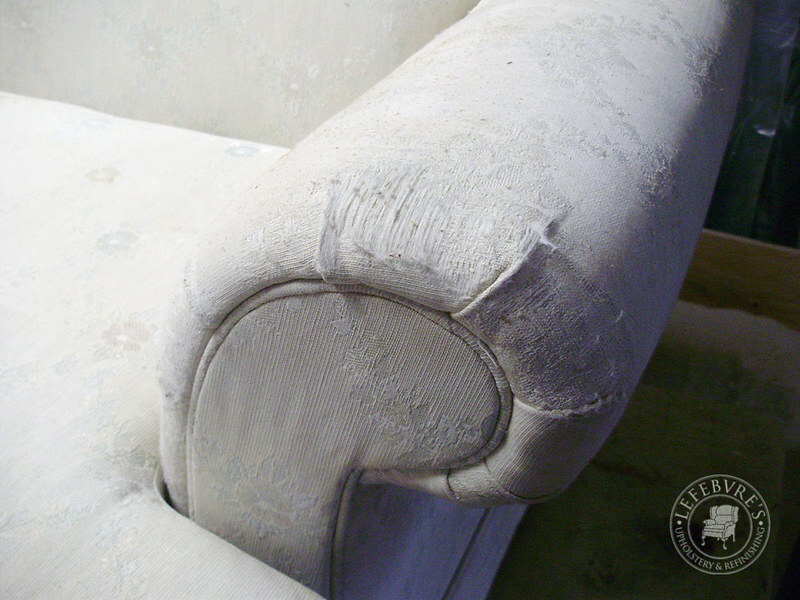 This was a 2 piece sofa set in need of new fabric. 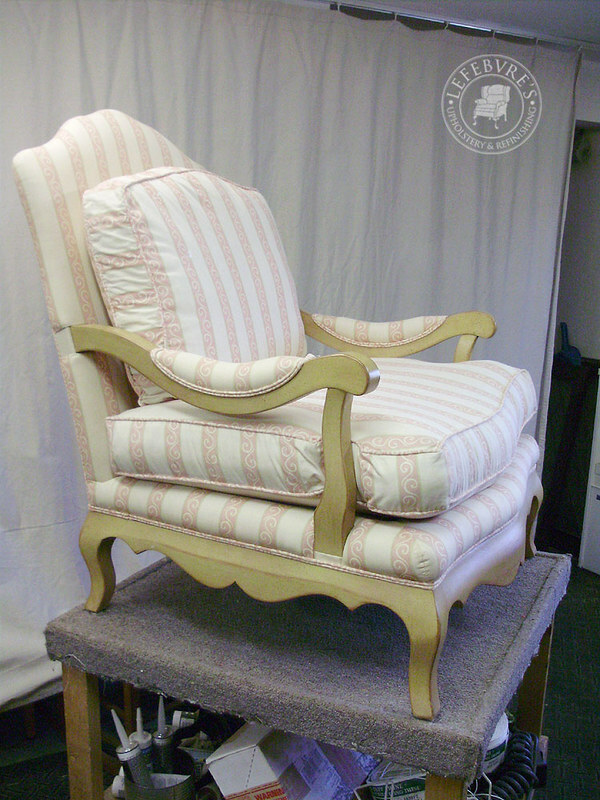 It was off white, and the client went to a sort of beige or taupe neutral. 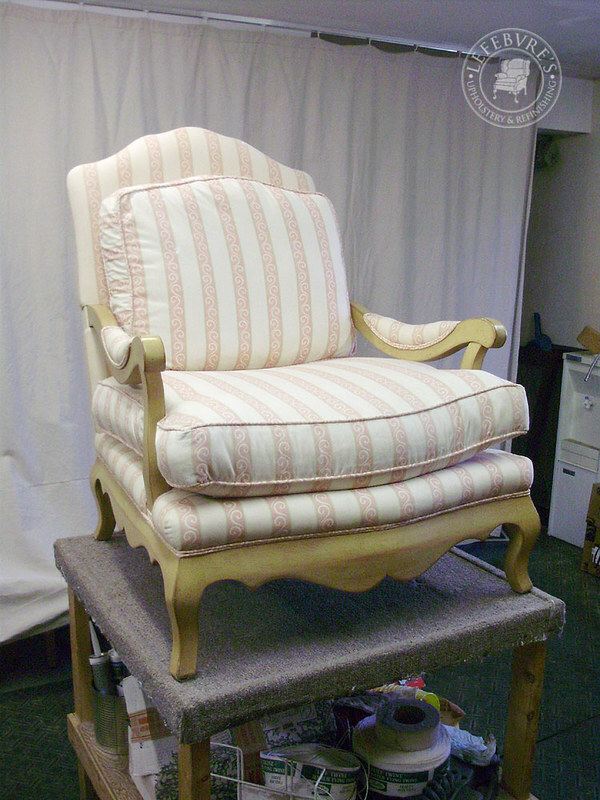 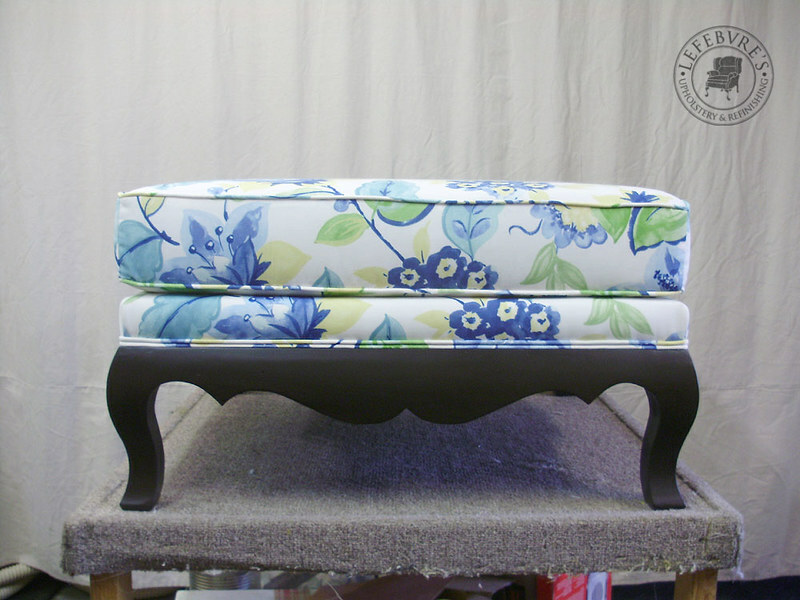 This is a lovely chair that we redid and the client also wanted a matching ottoman made for it. 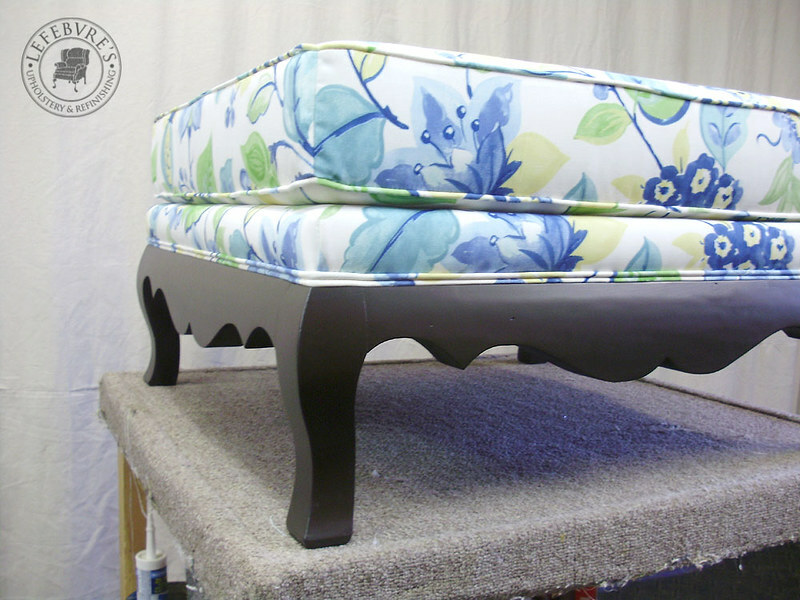 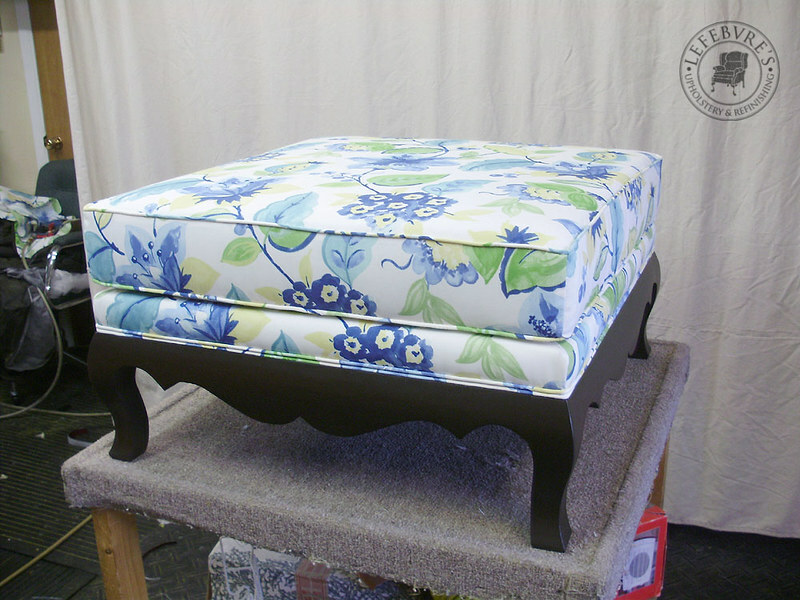 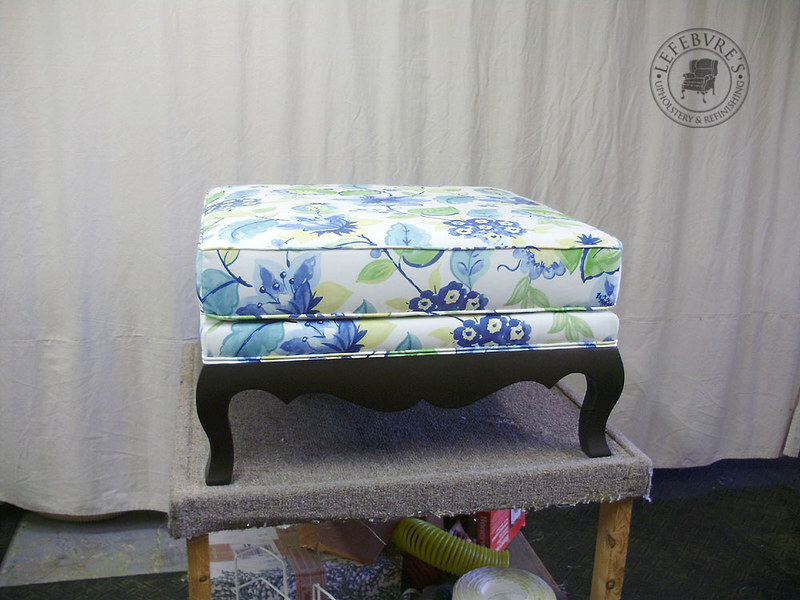 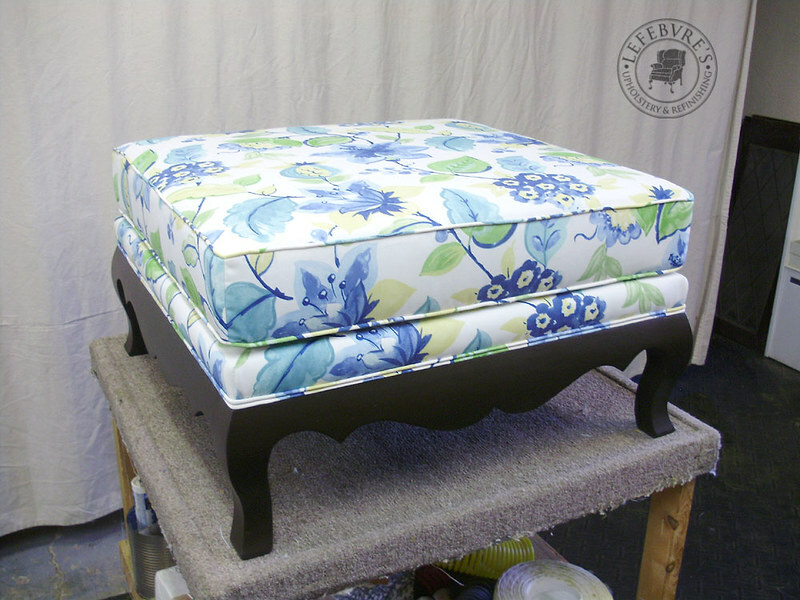 Unfortunately this was another piece that left the shop before I could take photos, but I do have photos of the completed ottoman. 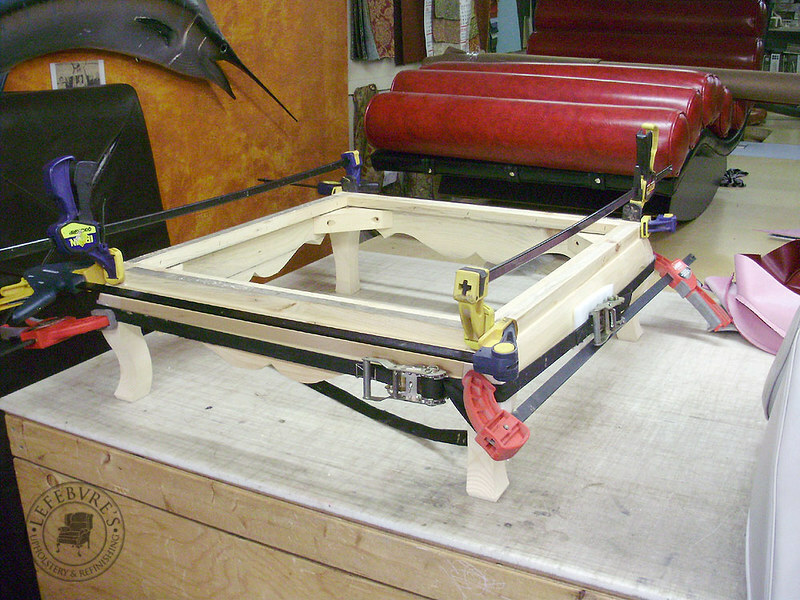 Fabricating the ottoman frame. 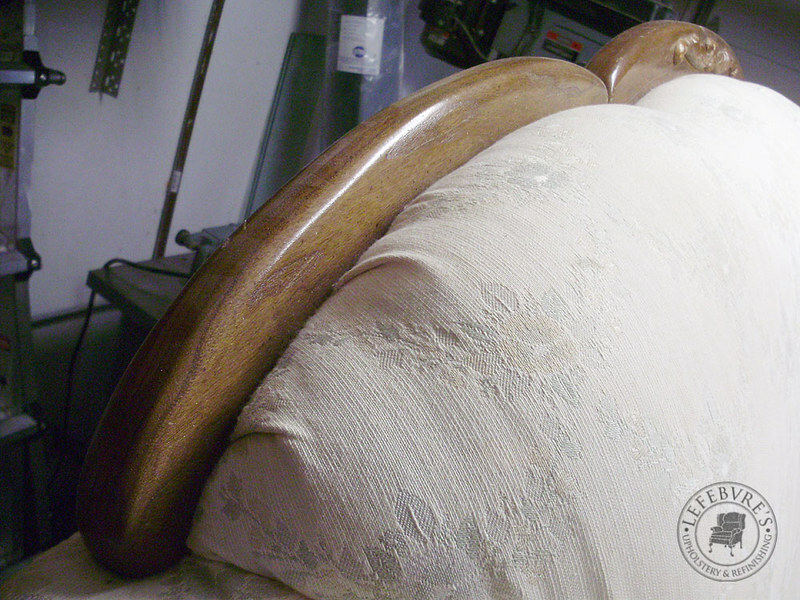 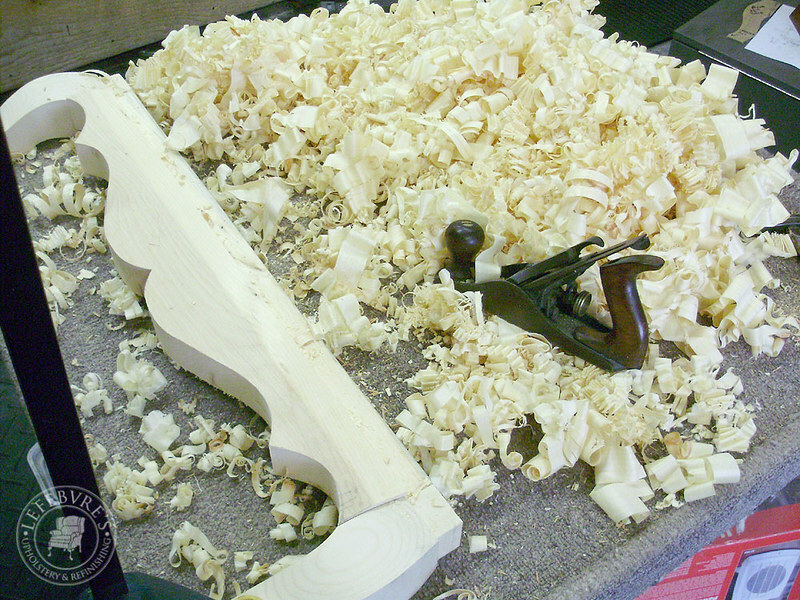 The bulk of the curves were hand planed to shape before sanding. 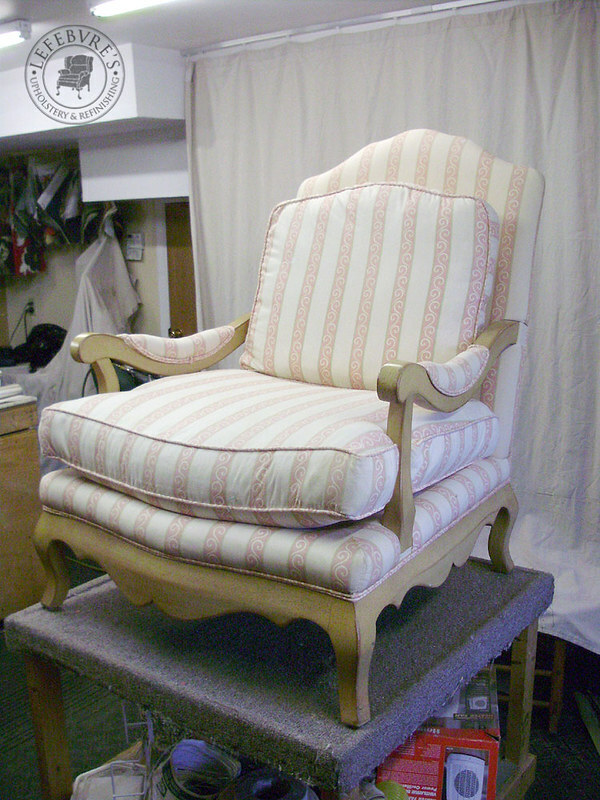 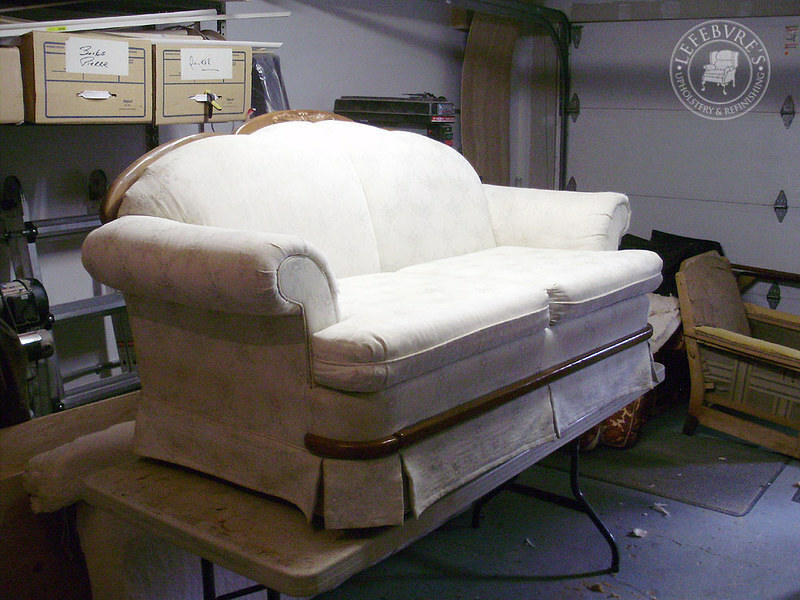 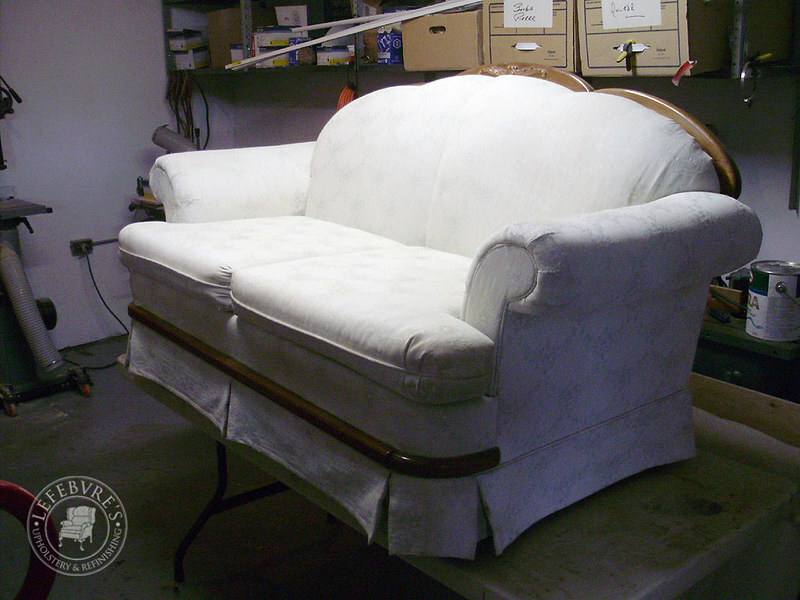 The chair frame was also refinished to a dark brown, and with the same fabric.